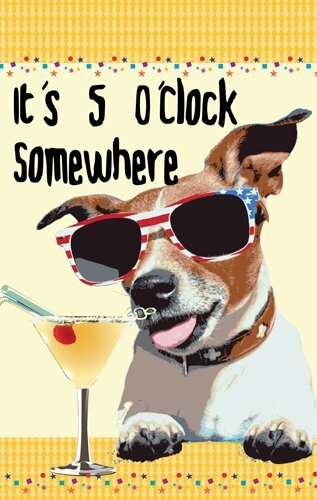 It's 5 O'clock Somewhere Cool Dog With Sunglasses Garden Flag Decora.. 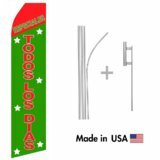 Faith With An Angel Garden Flag Decorative Flag - 28"x40"
Aluminum Banner Rail Poster Hanger 24"
I purchased this at a discount in exchange for doing a review. I like the flag, it is cute and appears to be well-made. I'm giving it to my niece as a stocking stuffer this Christmas. I would have given it 5 stars, but the colors are just a bit more muted than I would have liked. Great colors and a nice quality flag. I would recommend buying. I received this at a discount for my unbiased review. I would have purchased at full price as this is a great price for a flag. I thought this product is so cute. It was fast shipping and came exactly as described.I have it out by my deck near the pool, it's a great decoration. This flag is so adorable! It is a little smaller than I expected but I love the colors and the design of it! This is going to look awesome in my garden! I am a hugh Jimmy Buffet fan so when I seen this I had to have it! The dog is so cute, and it is just such a happy little flag! I literally smile every time I walk by it now. I love it! I was fortunate enough to receive this product at a discount in exchange for my honest and unbiased review. I received this today and it was well packaged and arrived quickly. This flag is so cute and colorful and looks great in my front flower garden. I've attached a pic for you to see how pretty it looks and hey it is definitely 5:00 somewhere! How adorable is this? It's super sturdy. Some flag materials rip pretty easily but this on can withstand heavy rain, snow and more. It makes my neighbors, friends and family laugh and sends a happy vibe to everybody. This cute and fun garden flag is something that I saw and wanted to get since I have a couple of fun dogs in my life. It fits well in the front garden area and is made of a strong material that I do believe will withstand the elements nicely. Now I was sent this item at a discounted price for an honest and unbiased review. The actual flag size is pretty good sized so you can see everything that is written on it and tell it's a dog with some cool shades and a martini next to it. Definitely a fun in the sun type of flag to fly during summer, and I'm proudly showing off mine this summer! The construction of the flag is high quality, and looks like it will last. This is the cutest lawn flag. I hung it in the back yard by the pool after mowing the grass, and it looks GREAT! I received this item for a discount in exchange for my honest review. Exactly as described! Thank you. 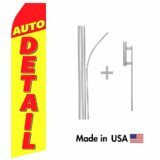 I received the product for a discounted price in exchange for an honest review. it's ok.....cheaper material than I expected and doesn't have tags on it or anything, so hard to tell if it's even new. sort of looks like a dollar store item.